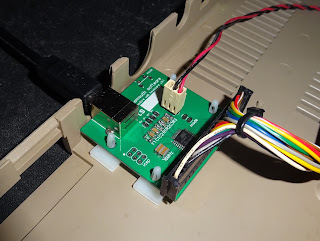 Whilst updating the list of my USB keyboard kits, I realised I didn't have a buy it now option for the standard Commodore 64 USB keyboard kits, so here is one. 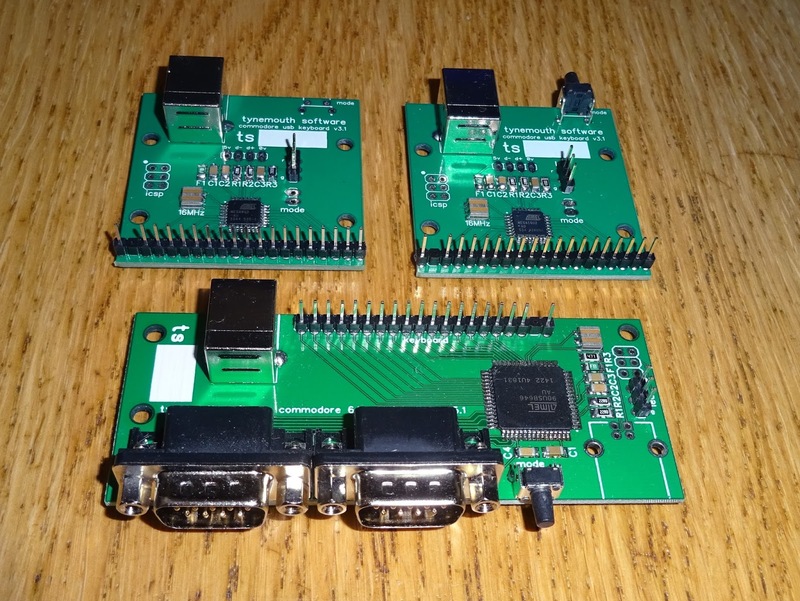 I have built various versions of the Commodore 64 USB keyboard controllers over the years. 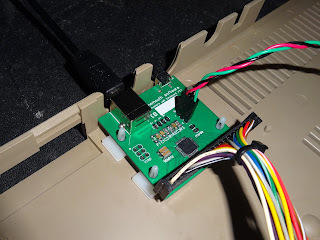 The standard board I use at the moment converts a Commodore 64 / Commodore 64C / VIC20 / Commodore 16 keyboard into a USB keyboard. 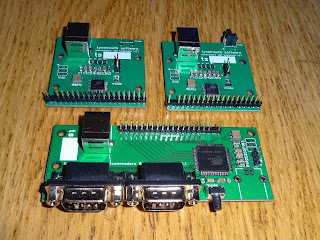 Note none of these are suitable for the Commodore Plus/4 - see the separate post on Commodore Plus/4 USB keyboard kits. This comes in two versions, the standard one, and one with a mode switch to select from two keyboard mappings. 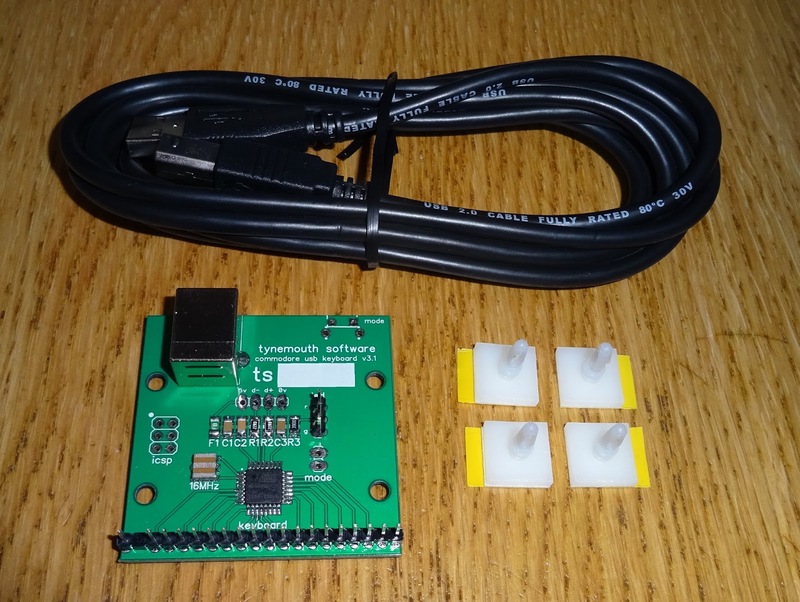 There are also versions which convert a pair of 9 way D joysticks into USB joysticks, and a version which shares the keyboard with the original Commodore 64 board. The keys on the keyboard are mapped such that when you press a key, the appropriate key is send to the PC you are connected to. 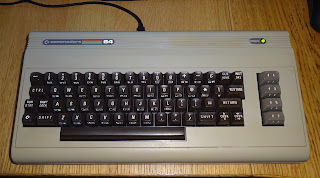 Some rearrangement happens in the firmware to make this work as some of the keys on the Commodore 64 keyboard are different to a modern PC. 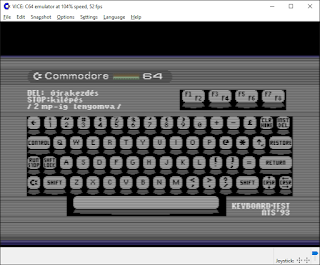 For example, on the C64 the 6 key has an ampersand symbol on it, so when you press shift + 6 on the C64, the firmware actually sends shift + 7 to the PC and the & symbol appears, as & is on the 7 key on a PC. See mappings for the Commodore 64 USB keyboards, and also Commodore 16 keyboard mappings. 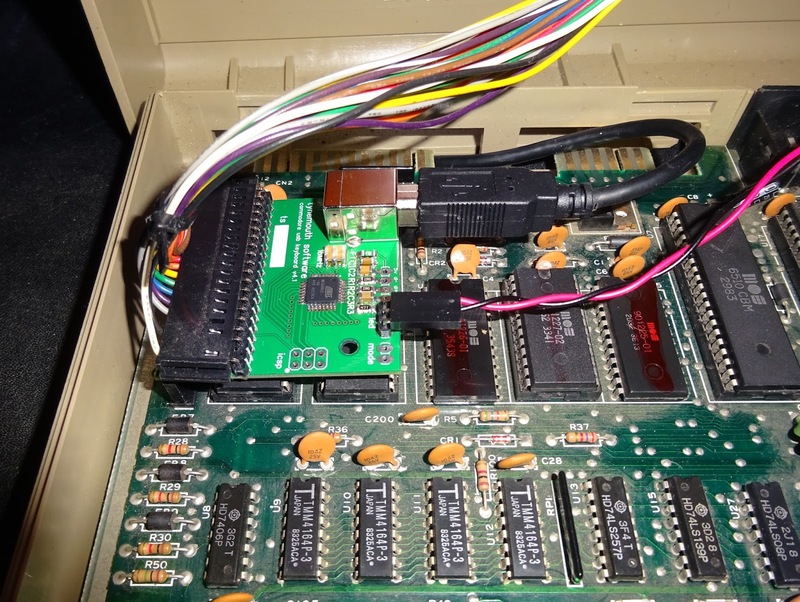 If you are planning to use you converted Commodore 64 with an emulator such as Vice or CCS64, the keyboard mappings need to be adjusted. 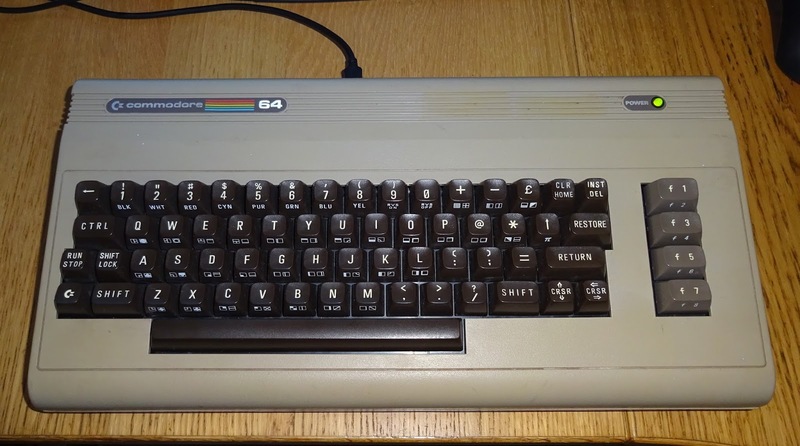 Not only does shift + 7 needs to be send as shift + 7, a number of other keys are mapped positionally, so for example on the top row of the C64, it goes 8 9 0 + -, and on a PC it goes 8 9 0 - =. To make it a one to one mapping in emulator mode, I actually send - when you press + on the C64, so that vice then translates that and + appears on the screen. 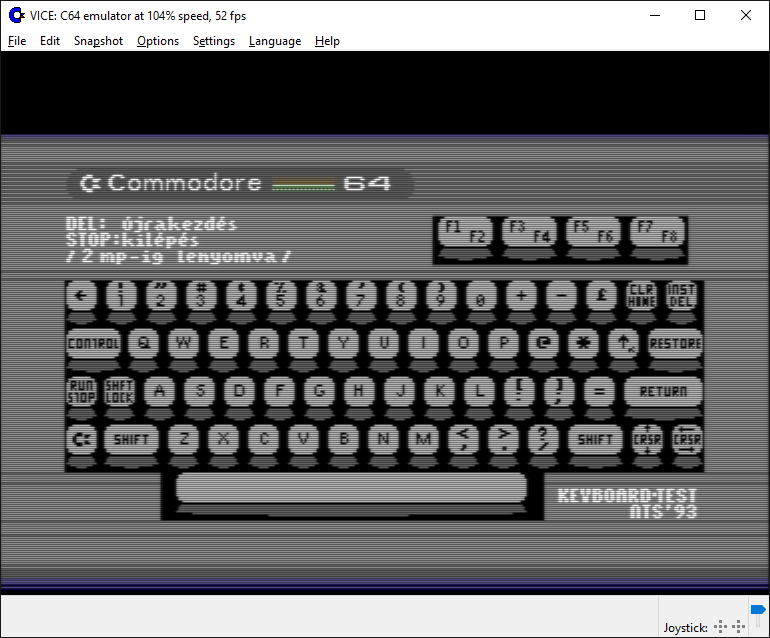 This is great for the emulator as all the keys now work as if it were a real C64, but it's a bit annoying when you quit the emulator and go back to normal desktop apps. 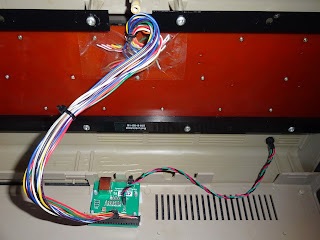 To that end, the mode switch versions of the board have a button which switches between the normal and emulator mappings, changing the power LED to show the mode, red (emulator) or green (normal). Standard Commodore 64 USB keyboard kit. 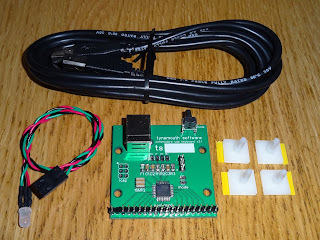 The standard kit version comes with the controller, adhesive pillars and a USB lead. 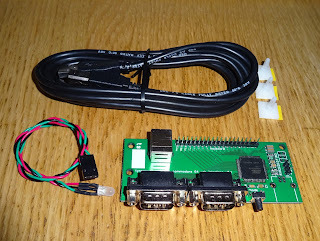 This can be installed on the back of the keyboard, with the power LED cable connected to this board to light up when the USB is connected. 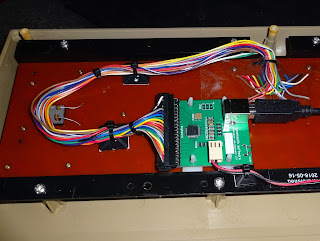 It can also be mounted in a few places inside the case so the USB connector is externally accessible. 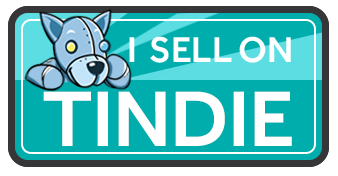 The kit can be purchased from my Tindie store. 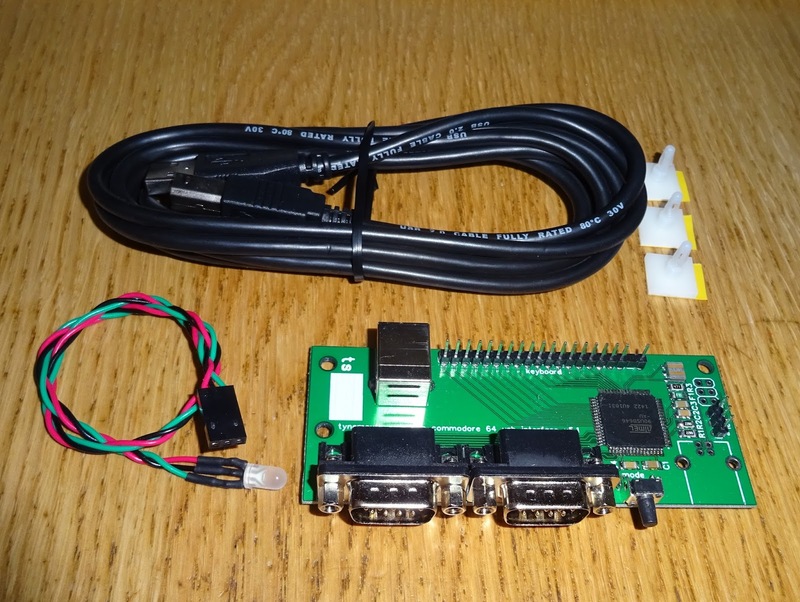 This is suitable for Commodore 64 and VIC20, Commodore 16 and Commodore 64C. If you are planning to use you converted Commodore 64 with an emulator such as Vice or CCS64, go for the version with the mode switch. The kit for this includes the controller, mounting pillars, USB lead and a replacement power LED for the Commodore 64 which will indicate the mode. 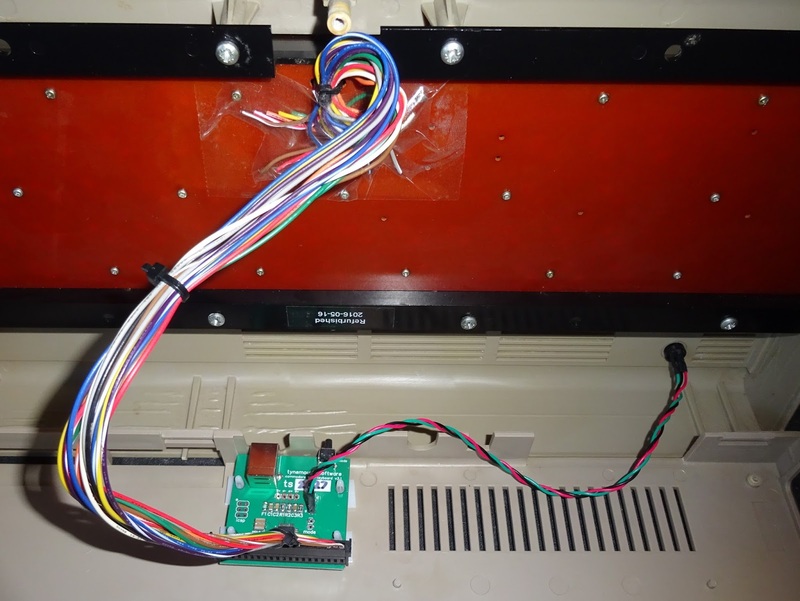 This is best fitted where the mode switch can be pressed, either through the IEC and video ports, or the expansion port. The replacement LED fits where the original was.